This volume has established itself as indispensable and invaluable reading, as a starting point for anyone interested in America’s failure to absorb a large minority of a different color. In his ability to penetrate the surface of racist theory, his very thoughtful analysis and categorization of racist thought, with his consideration of intellectualized racism’s influence on policy, Fredrickson has provided us with a better understanding of the race problem in America. 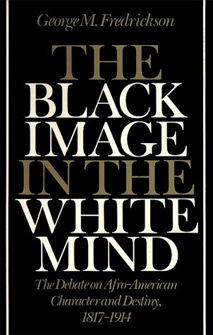 The book is a history of ideas, but also a study of how those ideas were espoused and applied by race-conscious intellectuals, pseudointellectuals, publicists, and politicians. George M. Fredrickson was one of the most eminent historians of the United States and of comparative studies of racism and racial identity in the U.S., South Africa, and Nazi Germany. Fredrickson was the Edgar E. Robinson Professor of United States History at Stanford University. He is author of The Inner Civil War, The Black Image in the White Mind (Wesleyan Paperback), and White Supremacy, for which he won the Ralph Waldo Emerson and the Merle Curti awards; this book was also a Pulitzer Prize runner-up. A graduate of Harvard University (BA 1956, PhD 1964), Fredrickson served in he U.S. Navy from 1957 to 1960 and taught at Northwestern University from 1966 to 1984; he was William Smith Mason Professor after 1979. He was a Fulbright Scholar at the University of Oslo in 1956-57 and a Fulbright professor of American History at Moscow University in 1983. Fredrickson was twice appointed senior fellow of the National Endowment for the Humanities; he was a Guggenheim fellow and a member of the American Academy of Arts and Sciences. "Not Just Black and White: Historical and Contemporary Perspectives on Immigration, Race, and Ethnicity in the United States (2005) "
"Big Enough to Be Inconsistent: Abraham Lincoln Confronts Slavery and Race (2008) "